Have you ever heard of a plank? We bet you have! It is one of the most effective exercises that makes all of the core muscles work. What is more a plank helps to make your shoulders fit and strong. There is a plank challenge that we dare you to take. Are you ready? The challenge itself lasts 28 days. Even though it might seem quite a long time you will have a break every 5 days. During your workout days you need to increase the amount of time spent in the plank. So, let’s nail it! For better challenge, you can verify the plank. Choose some of these exercises and include them in your challenge. 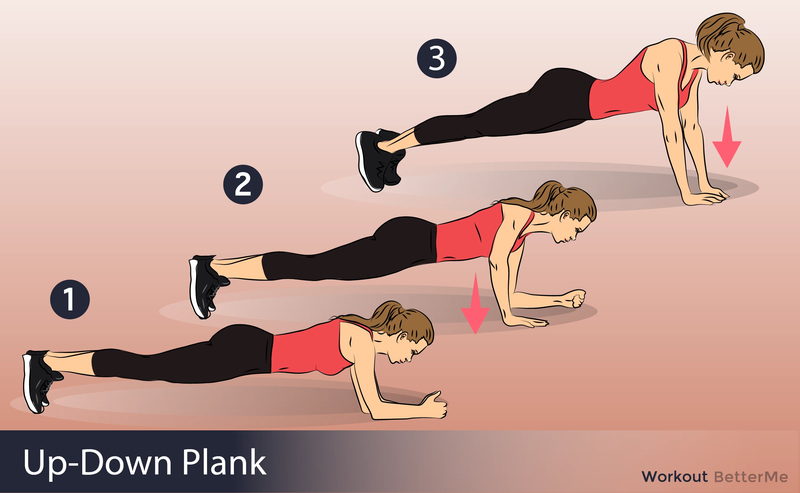 But, if you prefer a classic plank, keep doing it without any addition! You’ll get the result anyway! Start in a standard plank position, palms planted firmly on the ground. Maintain a straight line from your shoulders to your heels by engaging your core muscles. Your feet should be hip-width apart. 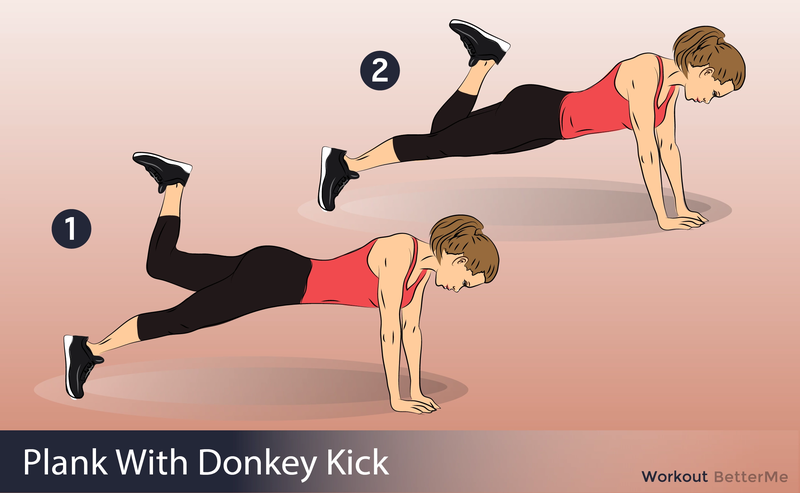 – Remember the “Donkey kick” exercise? Good. – Stay in a plank position and lift your left leg, bend the knee and start to perform kicks. Your should feel the tension in your muscles! 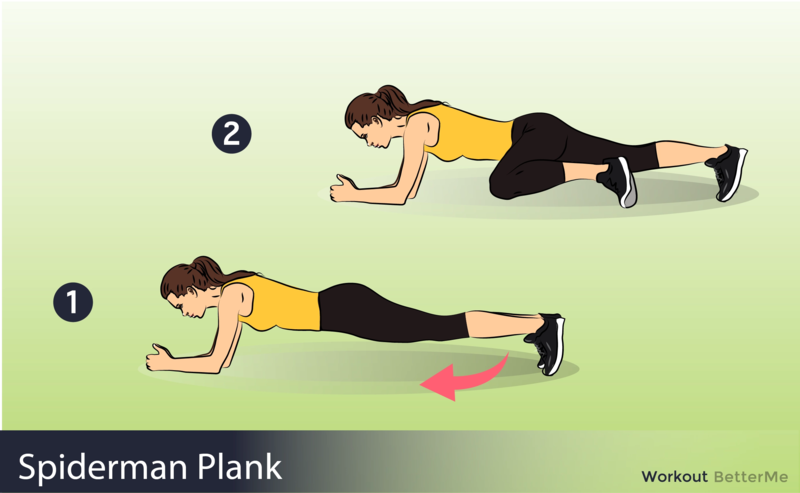 – Rest in a plank (don’t lay down) and repeat with the other leg. – Start in the plank position with your elbows shoulder-width apart. 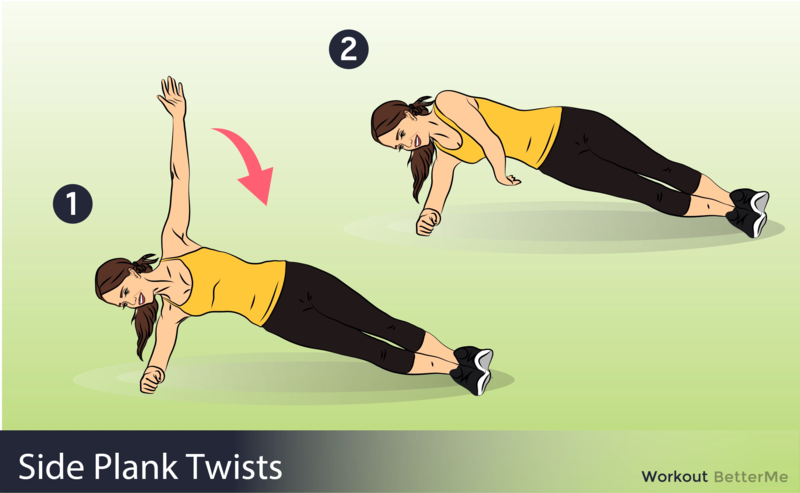 – Press yourself up from the floor one arm at a time into a push-up, maintaining your body in a straight line. 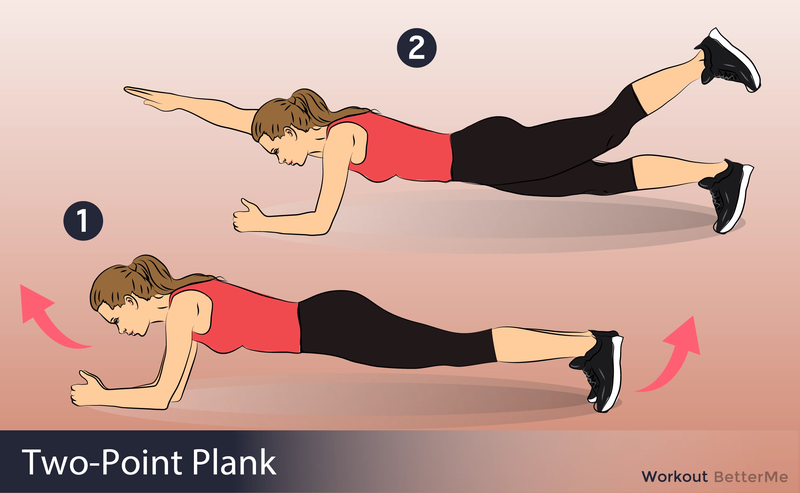 – Slowly return to the starting plank position the same way, one arm at a time. – Repeat the movement alternating sides.